The Frisbi Suspension Lamp was created by Achille Castiglioni for leading Italian lighting manufacturer Flos. Floshas been crafting elegant and robust lighting solutions for over 50 years. During this time, the firm has consistently demonstrated the power and originality of Italian craftsmanship. A succession of talented designers has enabled the firm to garner a rich trove of awards and accolades over the years by revolutionising the art of lighting. 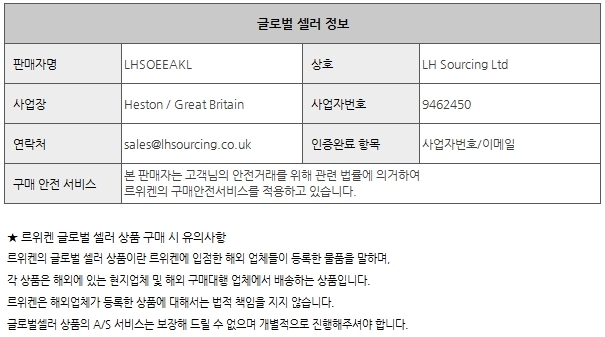 Meanwhile, the company has expanded into an international operation serving both consumers and business customers in search of distinctive lighting for their homes, shops, hotels and offices. With its chrome reflector and opal diffuser, the Frisbi Suspension Lamp can deliver direct, diffused and reflected light. 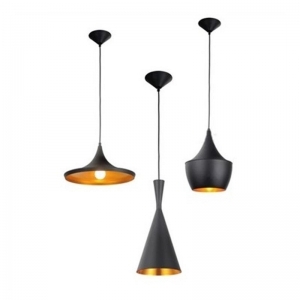 This way it can function as task lighting in a kitchen or living room or as ambient lighting to create a variety of moods. 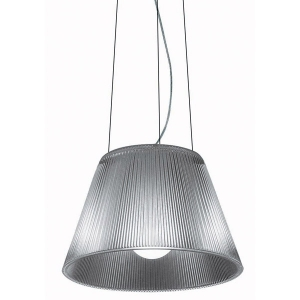 This pendant lamp is 73cm in height, 60cm in diameter and features a cable length of 390cm. With its three fine steel cables, the unit can be suspended from any ceiling via its injection-moulded ABS ceiling fitting. It can thus be positioned as needed in any room or space, allowing users to create lighting solutions to their exact requirements.